Enter the futuristic world of Action Ops: Snow & Sable slot by Microgaming. Join these super ladies and protect the city for £100,000, free spins & 1000x your stake. We have noticed that Microgaming is making a great effort in partnering with smaller game developer studios. The giant gaming company is pushing new games that do not conform to classic slot setups. Microgaming combines with Triple Edge Stud to give you Snow & Sable – a futuristic female duo working to save the world. Snow and Sable are the new police in town – they are here to ensure law and order in a futuristic world. Action Ops: Snow and Sable is a 5 reel, 3 rows and 10 payline slot. The visuals are impressive and the gameplay is simple but the special features are explosive! 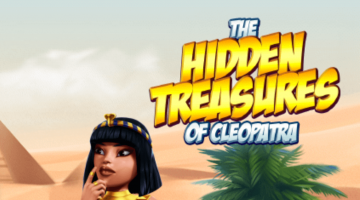 From the Free Spins to wild reels and huge multipliers. Join Snow & Sable on these major UK online casinos and enjoy other grand bonuses and VIP player programs. Your main goal is to help Snow & Sable fight crime in this futuristic era. Action Ops: Snow & Sable is set in a futuristic online slot. The reels look like one of those advanced devices you see in Sci-fi movies – set against imposing highways and skyscrapers. The game is easy to the eye, as you embark on your journey to the future Aurora. Snow & Sable are equipped with all sorts of advanced gadgets and weapons. Symbols include a robot ladybug. Land 5 of a kind on an active payline and get 1200x your stake. (The Ladybug serves as a police dog). The car without wheels levitates above the ground to give you 2500x your stake for 5 of a kind. Hit 5 watch symbols and get up to 600x your stake. The red glasses also work as transmitting radios. Land 5 on a payline and win 800x your stake. Card numbers represent the low-paying symbols. Snow and Sable are wilds (individually) and they can replace all other symbols (bar the scatter) to form a winning combination. Land 5 Snow or Sable symbols and get 100x your stake. A mixture of Snow and Sable will give you 50 times your stake. Land 3, 4 or 5 of the Snow and Sable scatter symbols to trigger the Free Spins round. 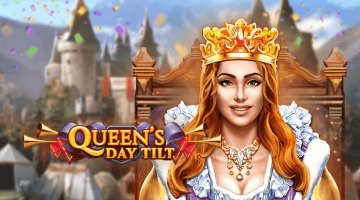 You will trigger about 10, 15 or 20 Free Spins plus generous payouts of up to 2x, 10x and 100x your bet. Reels 1 and 5 will transform into full wild reels during every free spin. If you land 2 or more scatters, you get 5 or 10 Free Spins. 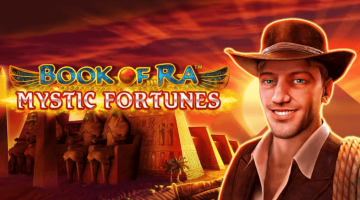 If you are lucky, you will get an unlimited amount of Free Spins plus 2 full wild reels. Action Ops: Snow and Sable is entertaining enough but we feel Triple Edge could have done better with the graphics and special features. Still, you could win 1000x your stake or £100,000 on a single spin. The slot has high volatility, so you should be cautious with your bankroll. But it is worth it if you end up with the maximum win, unlimited free spins or the double wild reels. Start playing Action Ops: Snow & Sable on these top UK online casinos and claim other amazing bonuses and promotions. Are you looking for other exciting sci-fi online slots? You could always try a spin on Supernova, Cosmic Eclipse, Cosmic Reels, Alien Robots, Space Race and Wild-O-Tron 3000. If you are after millions of wins, try a progressive jackpot. Mega Moolah is a great place to start!